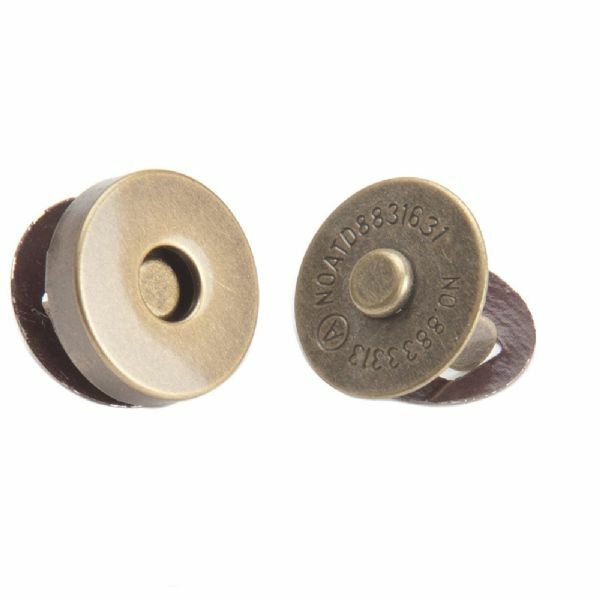 Size: 18mm Colour: Antique Brass No sew magnetic bag clasps/fasteners. Each set has two snaps and two washers. Simply push the snap prongs through the fabric of your bag or other item, slip the washer over the prongs and fold the prongs back on themselves to keep the clasp securely in place. Once the 2 snaps are in place - the magnets hold the bag top together.